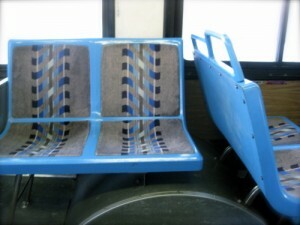 Here is something you can do in 2012: use public transportation. It may feel complicated at first to understand routes and schedules, but don’t worry (you can ask the drivers if you need it) and hop on. It is very pleasant to be driven around town without stressing out about traffic and inconsiderate drivers, without having to look for a parking spot, and it gives you the perfect excuse to leave work or a boring party at a predetermined time. 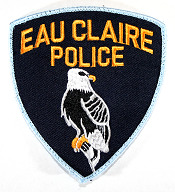 I have taken public transportation in all kinds of cities and countries (Paris, Chicago, London, Stuttgart) but also Eau Claire, WI where I currently reside and have never had a problem. I also regularly take my bike on the bus, which is easy as pie. I just had a driver show me how it worked on my first day. I actually enjoy getting to know my bus drivers as well as other frequent passengers. Or you can watch a video tutorial if you prefer to be 100% ready before you get on or if you hate talking to people. In our neighborhood I can catch three different bus lines (Route 1, Route 7/17, Route8/18), and even Route 5/15 if I go to the edge of the Eastside Hill). I can be downtown within 10 minutes. I can be at the mall within 20 minutes. And from downtown I can pretty much go anywhere I want. Half the busses leave the downtown transfer station at 15 after the hour, and the other half at 45 after the hour. Here is a complete map and list of schedules. 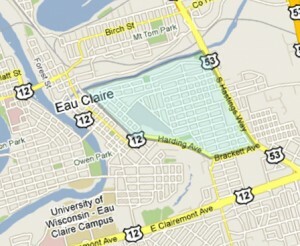 I live on Barland Street and all three of the eastside hill routes are within a block of me. Most eastside hillers can go to the mall and Altoona every hour, and to Mega and downtown every half hour. Easily the best neighborhood for transit in Eau Claire, so I use it almost daily in the winter and bike the rest of the year!